Yesterday, I started discussing a Special College Report article that is in the current issue of Time Magazine (October 7, 2013). 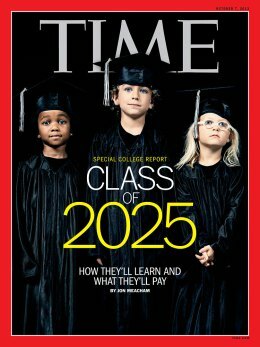 It is titled Class of 2025 How They’ll Learn and What They’ll Pay. Time discusses the debates going on over traditional education with a core curriculum and other academics who would rather have students attend a more specialized set of courses that allows them to set their curriculum. It seems, however, that all parties involved are most concerned with students having the skills to do critical thinking upon graduation which will make them more successful in the work force. I had two personal life experiences I wanted to share. Yesterday, I discussed a course I took on the History of Napoleon at Texas A&M Univerity in the early 1980s from the late Dr. Shirley Black. Today, I am moving ahead in time and discussing a MOOC class I took last year from Professor Alberto Cairo titled introduction to Infographics and Data Visualization. I am also sitting in the current section of this course Professor Cairo is teaching that began this month. Before I discuss Mr. Cairo’s MOOC class, I would like to discuss the benefits of online learning discussed in the Time magazine report. In the Time Magazine article, Online learning will make college cheaper. 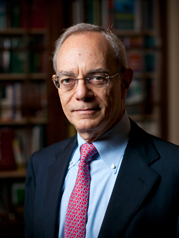 It will also make it better by L. Rafael Reif, President of MIT, Mr. Reif states that “digital learning is the most important innovation in education since the printing press.” He then describes what digital learning is good for. His first point is that it is good at opening possibilities for billions of human beings who have little or no access to higher learning. He cites the success MIT has had with its OpenCourseWare as an example. Mr. Reif then points out that online learning is very good at teaching content such as the concepts of circuits and electronics, the principles of chemistry, and the evolution of architectural styles. He then points out that his classroom students are not necessarily ready to apply the concepts that are taught. However, by contrast, compatible students taught through online exercises – including immediate practice, feedback and reinforcements retained the concepts better and were better prepared to put them into practice. Also, by moving the introductory materials to online courses, instructors can now take the time that was previously reserved for lectures and use it to exploit the power of innovative teaching techniques. Another advantage of digital learning technologies, although harder to quantify, is flexibility. Traditional colleges require four years at a physical academic address like a university campus where students have to meet regularly at the same place and time. Digital learning allows students to engage the material anytime, any day, as often as they need to, anywhere in the world. I know there were times as a student I wish I had certain lectures from my professors that I would like to have been able to listen to multiple times to reinforce what they taught us. The next advantage of digital learning is the ability to analyze and gain information from the vast data that is being generated about how people actually learn best. A systematic, data-driven approach to analyze the way we learn will provide us testable conclusions that could improve teaching methods and strategies for both online and in-person instruction. With all of these benefits mentioned above, we also need to discuss the major drawback of digital learning-the ability to have face-to-face interaction. Judgement, confidence, humility and skill in negotiation that come from hands-on problem solving and teamwork; the perseverance, analytical skill and initiatives that grow from conducting frontline lab research; the skill in writing and public speaking that comes from exploring ideas with mentors and peers; the ethics and values that emerge through being apprenticed to a master in your field and living as a member of a campus community. However, online learning may indirectly provide these benefits. The online courses will allow more time to focus on education; detailed discussions; personal mentorship, and project-based learning. It becomes more of a blended model as online tools are used more strategically. Students could, in the future, be able to complete their first year of college online, thus reducing their costs of education. Or, in their junior year, work in their field of interest while attending their courses online. MIT has around 200 lecture halls. With online learning, the need to increase the number of physical spaces (or reduce this space and use it for other academic purposes) could vastly change by the year 2025. We need to capitalize on the strengths of online learning, make it more accessible, more effective and more affordable for the human race than every before. Tomorrow: Alberto Cairo’s MOOC Course and my review of one of the graphs used in the Time Magazine report.